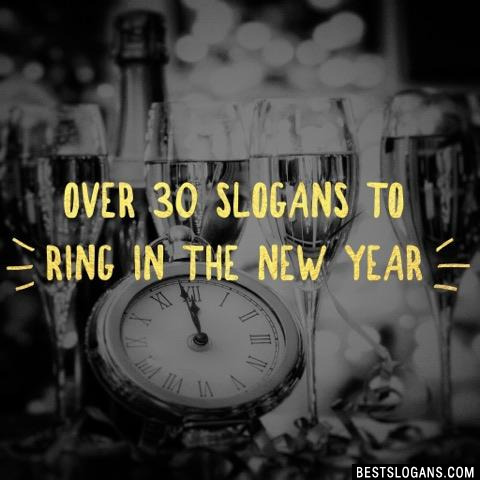 52 new entries added to new year slogans, that include pictures. 1. Warm greetings and best wishes for happiness and good luck in the coming year. Black eyed peas, ham, and cabbage are considered good luck if you eat them on New Years Eve or Day because it is believed they will bring you money. The first New Year's celebration dates back 4,000 years. Julius Caesar, the emperor of Rome, was the first to declare Jan. 1 a national holiday. He named the month after Janus, the Roman god of doors and gates. 45% of Americans make New Year's resolutions. The top resolutions are: to lose weight, get organized, to spend less and save more, to stay fit and healthy, and to quit smoking. 1 Warm greetings and best wishes for happiness and good luck in the coming year. 2 It's time for 1-9! 3 What a m19hty good year ahead. 4 2019: gonna be epic. 5 Gonna climb to new he19ts. 6 This year is a B19 deal! 7 Shine br19ht in the new year. 9 Keep calm and ring it in. 10 New Year's resolution: crush it. 11 I'm not a resolutioner, I'm a regular. 12 New year same goals. 13 This is my resolution shirt. 14 In a year, you'll be glad you started today. 15 Hopes & dreams & goals & confetti & champagne. 16 Leave the past in the past. 17 New year new me. 20 Ain't no party like a New Year party! 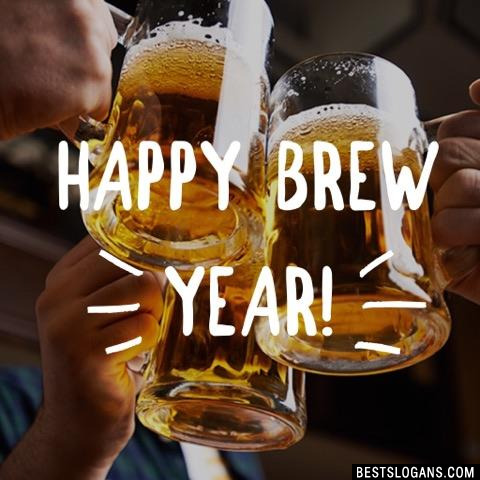 Can you think of a good New Year Slogans we're missing? Or come up with a clever one of your own. Please share below.